Cream butter, sugar, honey, egg together. Add lime rind and juice. (Mixture will look a little curdled) Fold through dry ingredients and bake at 180C until golden. ** I had made my own mascarpone recently so had some to spare. You could easily just keep it as a butter icing though. 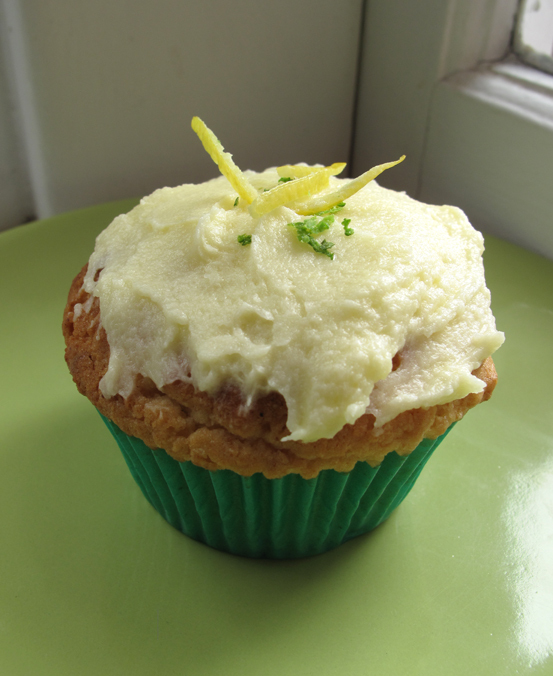 This entry was posted in Food Glorious Food and tagged dessert, food, friendship, lime and coconut cupcakes, recipes by cityhippyfarmgirl. Bookmark the permalink. Brydie, you know how to make my mouth water! Girl, these sound delicious…I’m hosting a picnic for a Hen’s Party in early December and I think they’re the perfect tropical flavours…and home made mascarpone?! Yum!! What a happy occasion! And you have watermelon and Lime an coconut cupcakes to celebrate- that is very festive. I’m so glad your friend is back, Brydie! Awwhhh, that’s so sweet Brydie, I’m glad you’ve got your friend back to hang with! 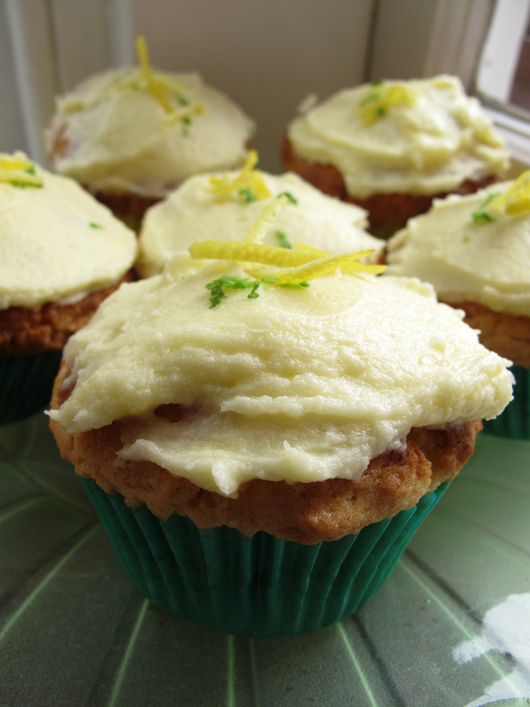 Lime & Coconut cupcakes do sound & look good. you gain in food reunions is my loss….still you already sound like an original – with all that meat drying in your bedroom … Will report from London and try the cup cakes . Any pasta making tips in the offing – inherited alot of flour from a certain friend of yours who is back in oz. so going to spend the winter experimenting with it !!! Any exciting suggestions ? For pasta, I always use semolina flour, (not sure what the lovely left you) and I think for favourite hand made pasta is pici. But also have a ravioli and orrecchiette recipe on here as well…. Let me know how you go, I’d love to know what deliciousness you come up with! As the salivating recipient of these cupcakes I can attest to both the deliciousness of the cake, and the generous spirit of the maker. It’s always a joy to be back, but to be welcomed into a sunny Sydney haven such as Brydie’s and to fill it with genuine discussion and interest; well that makes the cakes all the more sweet (a collective ‘aaawwww’ please!). Next up, a cure and a skip! What a lovely ode to a friend – she sounds a good one. The cupcakes look delightful and after I’ve polished off your Moroccan pumpkin I think I’d like one of these please.